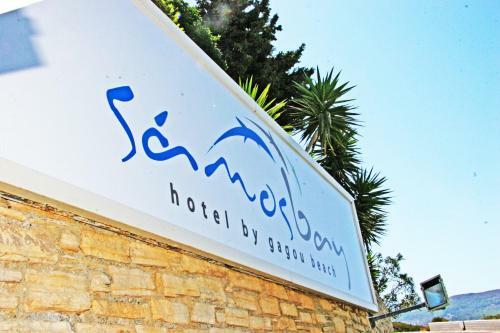 Located right on Gaggou Beach in Kalami Area, Samian Blue Seaside Hotel features a swimming pool with a children�s area. 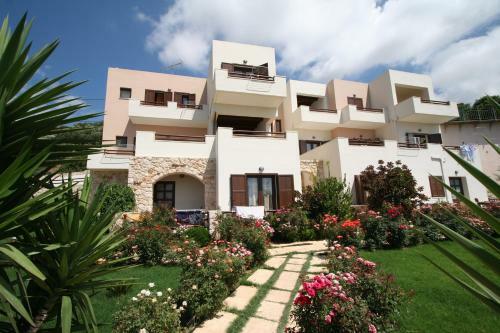 It offers rooms that open to a balcony, enjoying Aegean Sea or garden views. Free Wi-Fi is available throughout. 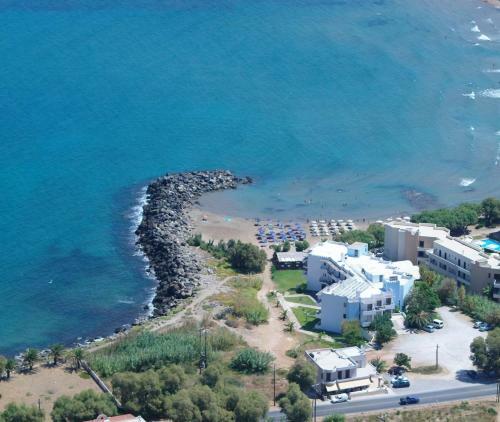 Family-run Hotel Elena Beach is located right on the sandy beach of Mavros Molos. It offers rooms with private balconies and features a Cretan restaurant and a beach bar and tavern. Sun beds and parasols are available on the beach. 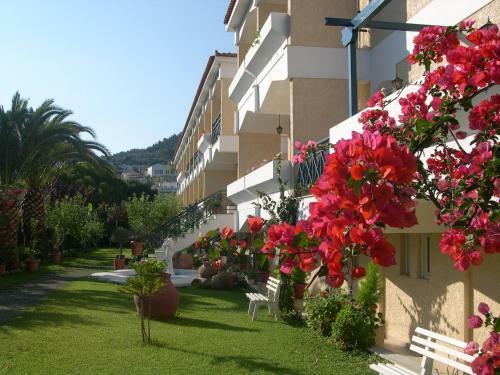 Within 100 metres from Gagou Beach and 1 km from Samos Port, Anthemis Hotel Apartments features a pool and a snack bar amidst its blossomed garden. Situated 1.5 km from Falassarna Beach, in the traditional settlement of Kavousi, Kavousi Resort offers accommodation with kitchenette set within a lovely flower garden. The village of Platanos is 1.5 km away. Centrally located in Vathy, amongst lush gardens 1.5 km from Gagou Beach, Paradise Hotel offers a pool, a buffet breakfast and a restaurant. 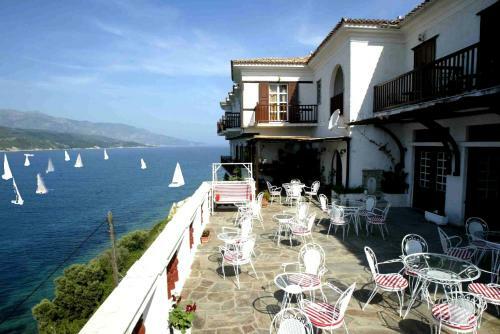 Rooms have free Wi-Fi and furnished balconies overlooking the mountains of Samos. Situated in a sand-coloured complex amidst olive trees and grapevines, Thealia offers 3 large, self-serviced apartments. Each one features free Wi-Fi and balconies with views of Kissamos Bay and outdoor pool. Just 70 metres from the sandy beach of Pyrhagoreio in Samos, Maritsa�s Bay Hotel offers a swimming pool and Continental breakfast. Rooms feature a furnished balcony overlooking the Aegean Sea. Only 50 metres from Vathi�s centre and 200 metres from Samos� port, the year-round Aeolis offers air-conditioned rooms with balconies. Guests enjoy 2 swimming pools, hot tub and a Greek restaurant. With a charming rooftop terrace offering stunning views of Samos Bay, Virginia Hotel provides clean and comfortable accommodation with free wireless internet and complimentary buffet breakfast. Just 10 metres from the sandy beach Pahia Ammos beach, this property features sea-view, self-catered accommodation with free Wi-Fi and furnished balcony or patio overlooking Kissamos Bay and the garden. 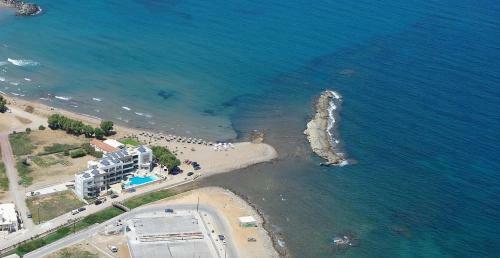 Kalidon Panorama Hotel is located on the north coast of Samos, near the village of Kokkari. It's only 400m from the beach Lemonakia and in a short walk from the famous Tsamadou beach. On the beachfront of Kissamos, Sunny Bay Hotel offers accommodation with sea or pool views, traditional Cretan cuisine and free Wi-fi. 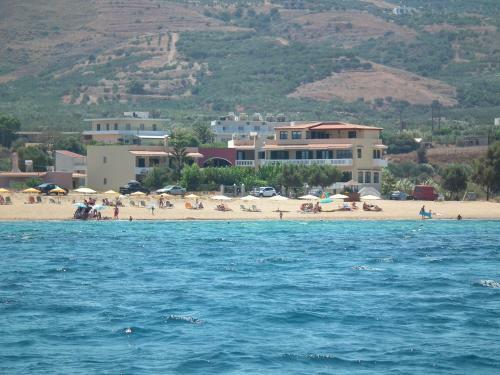 Kissamos�s centre is an easy 10-minute walk. 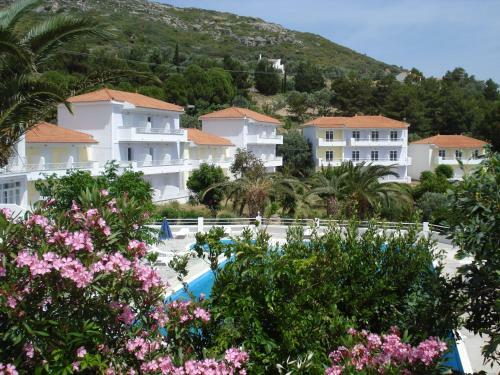 Located in the Kalami area of Samos Town, Ino Village Hotel offers a swimming pool and restaurant, only 450 metres from the famous Gangou Beach. It features elegant, air-conditioned rooms with balcony. Hotel Glicorisa Beach is built amphitheatrically on a hill, overlooking the Turkish coasts and the natural Glicorisa Bay. There is a private beach right next to the pine trees. Situated directly on the beautiful Gagou Beach, this hotel offers an excellent beach base complete with a relaxed and friendly atmosphere, free internet access and half-board accommodation. Conveniently situated just a 15-metre distance from the sea, this hotel is a traditional 3-floor building with a view of the bay of Samos from all rooms. All rooms have individual air conditioning and a balcony with sea view.